Meet “they” – at least as far as the Masterworks Broadway catalogue is concerned. Since 2005, I have made the choices about which titles from the catalogue our label reissues, and how we do it. This can be a tricky task, in the brutal retail environment for music today. None of us buys CDs in the numbers we once did, and very few of us buy music in the way we did a decade ago. I began to think about how we might dig deeper into the Masterworks Broadway catalogue without losing our shirts. It no longer makes sense to hope against hope that fans, in the tens of thousands, would rally around an endearing obscurity like Let It Ride!, at long last available on a CD manufactured, shipped and sold in a brick-and-mortar store. And we no longer have the luxury of allowing slow-selling titles to linger in the warehouses. Enter Arkivmusic.com. This smart, enterprising company has been working with Masterworks for several years to make available once more to the public our deleted CDs, including classical and Broadway titles, by manufacturing them on demand. It occurred to me that this might offer us a cost-effective way to continue exploring the Broadway catalogue. We could create new titles, but they would not be manufactured, shipped and retailed, in the traditional sense. They would sell only through iTunes and other digital service providers, and through a manufacture-on-demand partner such as Arkivmusic.com. We provide an audio master, a cover and a downloadable booklet for the digital providers, and all of these elements are reformatted into the parts of a physical CD for sale on demand through Arkiv. Masterworks Broadway supplies the content, and – if you want a physical CD – Arkivmusic.com makes it, sells it and ships it to you. 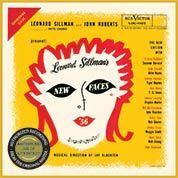 Our first such venture, in the summer of 2008, was a digital reissue of our catalogue of cast recordings of Jerry Herman musicals – including the first release since the LP era of the London cast recording of Hello, Dolly! with Mary Martin – followed by some refurbished Rodgers and Hammerstein titles. Last spring, we released a wildly mixed bag of eight cast recordings that had never (officially) appeared on CD, including at long last Let It Ride! These ran the gamut from Hazel Flagg and New Faces of 1952, to disinHAIRited and the 1976 Public Theater production of The Threepenny Opera. More of these recordings are on the way, beginning in July. Stay tuned for details. You have to acknowledge the enterprise at work here, but the actual product is a poor substitute for the real thing. Nothing proves this better than our release last year of the original cast recording of Hazel Flagg (1953). We own and possess the original masters, and they are always the source of our reissues. There is simply no substitute for the original master. When the Hazel Flagg recording was transferred, I was thrilled by how vivid, robust and immediate the mono sound was. In addition, our packaging uses the original LP cover art, photos from our extraordinary archives and the original LP liner notes. When it makes sense and enhances the experience of the recording, we will include bonus tracks. On the cover of each of our older titles is a “Masterworks Seal of Authenticity,” noting that this is an “authorized recording from the original master.” Accept no substitutes. In a time when it makes less and less sense to reissue old recordings in the traditional way, this unique partnership with Arkivmusic.com and our digital service providers has given us a new means of reviving more and more of our catalogue as we celebrate it here on MasterworksBroadway.com. And the site provides us with a new way of letting you know what we’ve done and what we’re planning. So, when are they going to release… ? Like I said, stay tuned.